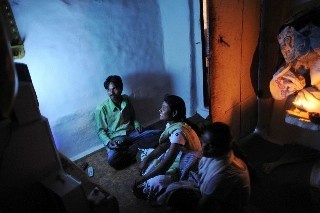 Home » Investigations » Where Are Tamil Nadu’s Colour TVs? Where Are Tamil Nadu’s Colour TVs? I read this article and found it very interesting, thought it might be something for you. The article is called Where Are Tamil Nadu’s Colour TVs? and is located at https://archive.indiaspend.com/investigations/where-are-tamil-nadus-colour-tvs-37787. India’s southern state of Tamil Nadu has been a pioneer of sorts in entertaining its voters, by giving away free television sets. The last scheme, initiated by the then ruling DMK party, started in 2006 and aimed to distribute some 15 million colour television sets to as many households. It now turns out that the number of TV sets given out and the number of households that needed them are not tallying. Moreover, a damning report shows the Government gave away thousands of television sets to villages which did not even have electricity. The reference is to the powerful and well entrenched Sun TV empire run by the Marans. The revenue numbers are her’s and not SPRs but the more interesting part comes now. The intriguing part seems to be here. As per India’s 2001 Census, there were 14 million households in Tamil Nadu, of which 5.6 million families owned TV sets. So, that left about 9 or 10 million households without television sets. Assuming the population grew approximately 15% in the last 10 years so, the figure could be 16 or 17 million households (actual population as per 2011 Census is 72 million as opposed to 62 million for 2001). Even assuming most households did not buy their own television sets in the period until the scheme was announced and got rolling in 2006; there appear to be at least 3 or 4 million colour television sets missing unless there is an explanation that we are not getting. Moreover, in the hurry, the local government also forgot that the state is not fully electrified. According to a March 2010 report of the Comptroller & Auditor General (CAG), the federal accounting body, some 11,354 colour television sets purchased at a cost of Rs 2.71 crore were distributed in Erode and Madurai districts of Tamil Nadu without ensuring they had electricity. A total of 545,847 colour televisions or 0.54 million were distributed in these two districts. Presumably, the bet was on electricity reaching these households some day. But its not clear what the bet on the rest of the television sets was.